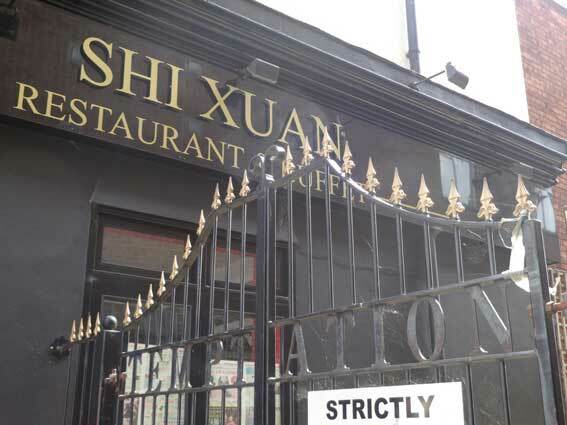 and several incarnations (and closures) of the Chinese buffet restaurant. However, in 2014 it hadn't been called 'Temptation' for quite a while, so Tim Leggett sent this photograph of the out-of-date, but rather impressive lettered gates: 'TEMPT ... ATION', festooned with cobwebs in the spring sunshine. The area would have been much more built up in the 1960s with the thin strip of land opposite the Beehive site between St Helens Street and Old Foundry Road crammed with buildings. 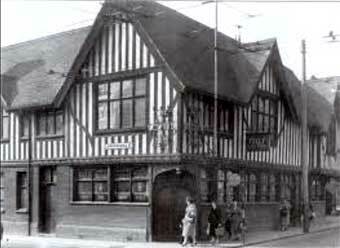 A photographer's premises stood across from The Beehive in a white deco building later occupied by radio and television shop Avis Cook (later to move to Tacket Street, opposite the Price lettering – see our Lower Brook Street page for photographs). This strip of land was cleared, apart from the public toilets which remained until the 1990s; they were replaced by a circular building with the 'Major' sculpture on its roof. 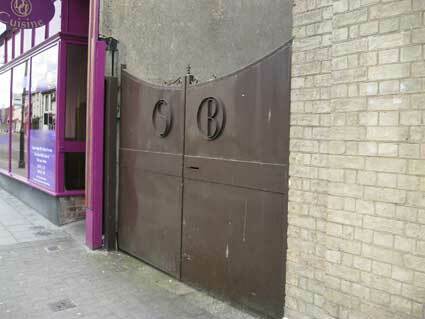 This probably qualifies as the part of "Majors Corner", although the tenement bought by a dyer called Joshua Major in 1656 actually stood on the site now occupied by the redundant Odeon building, between St Helens Street and Woodbridge Road. The Major family are recorded in St Margaret's parish registers from 1586 onwards. That site was, for many years, occupied by Botwood and Egerton's motor garage – later Mann Egerton's. Its building necessitated the demolition of Major's house in 1923. Fortunately for Ipswich the timber-framed building was saved and most of the structure was rebuilt as an extension wing at the rear of Christchurch Mansion (see that page for interior photographs and information). The very dark, creaky, wood-panelled rooms are the interior of Major's House. Above: a photograph from David Kindred's excellent book Ipswich: the changing face of the town (Old Pond, 2011) showing how the sharp right-angle and narrow pavements of the Beehive photograph were replaced by an angled 'modernist' shop with wider paving. 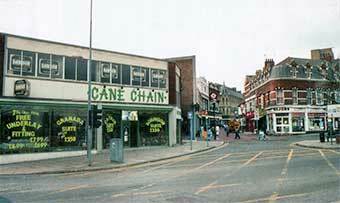 In 1990 the furniture shop 'Cain Chain' had estate agent's boards on display so presumably they closed shortly after this. 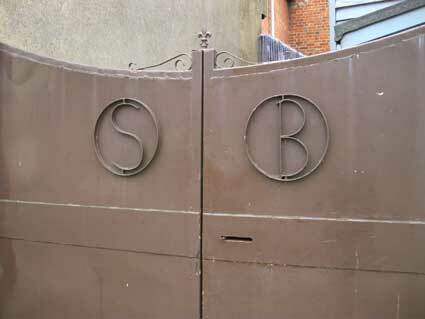 Well, once again, it's not been Scott's Brasserie for a long time (once the Vanilla Pod, then The Townhouse) but it's nice that the initials have been left on the gates to the left of the front entrance. There are people who remember this building when it was more barn-like (you had to climb up a ladder to one section) when it was the workshop producing Coppercraft moulded, spray-painted elephants on those polished copper sheet backgrounds. Their shop was next to Woolworths in Carr Street. At the time of writing, early 2015, this restaurant was called The Townhouse at 4a Orwell Place and had recently reopened after months of closure following a kitchen fire.